The Residential Landlords Association (RLA) aims to raise private letting standards and provide discount services to the group’s 10,000 plus members. Much like the other main landlord group – the National Landlord’s Association – the RLA has a dual approach. The RLA’s primary objective, according to the web site, is to represent the views of members to the government. The RLA also offers a wide range of free and discounted services to members. One example is landlord training courses fronted by TV’s Location, Location, Location Phil Spencer – available to members for £49, but to the rest at £89 (October 2011 prices). Other paid-for services include tenant referencing, credit checks, mortgages and insurance. Tenant credit checks cost £10. Similar checks are available on line from £6.95. The RLA is big on landlord courses and training – but much of the information offered as part of the membership cost or at extra cost is available elsewhere. For instance, the RLA training manual is based on a similar manual produced by ANUK, a body helping councils with property standards. The ANUK manual is available for free as an electronic download. Joining the RLA for a year starts from £75 for online applicants – and a lot more for postal subscriptions, companies and partnerships. Is the RLA worth the money? Other free services available with the subscription include an online forum and access to a range of document templates and forms, like tenancy agreements, notice letters and county court claim forms. 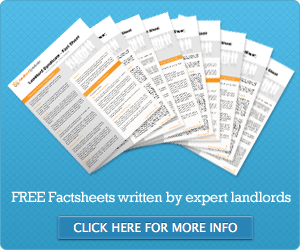 The big question for landlords is whether joining the RLA is worth the money? In the end, it’s a subjective answer – to make the expense worthwhile, a landlord has to value the lobbying work carried out by the RLA and benefit from the discounted services.